Jacob. 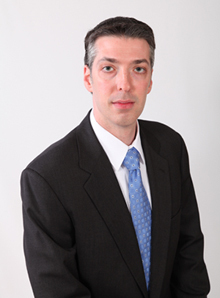 K. Ehrensaft is an attorney who has helped individuals and businesses achieve their goals by minimizing their exposure to litigation and taxation as well as litigating disputes when they arise. He has written extensively on will contests and guardianship litigation. His firm concentrates in estate planning, probate, guardianship, business law and franchise law. Mr. Ehrensaft received his law degree from DePaul University. Prior to attending DePaul, Jacob K. Ehrensaft received his B.A. in English from the University of Illinois at Chicago. He uses his proficiency in writing to explain complex legal terminology to his clients in plain English. His expertise has been exemplified through presentations he has given for the Chicago Bar Association, the Niles Police Department, the University of Illinois at Chicago, local libraries and multiple networking organizations. He has served on the board of directors for the Liberal Arts and Sciences Alumni Association for the University of Illinois. Mr. Ehrensaft also acts as a mentor for current students and alumni of DePaul University in the Alumni Sharing Knowledge (ASK) program. Prior to entering the private practice of law, Jacob K. Ehrensaft drafted manuals for sellers and servers of alcohol at Illinois Liquor Control Commission. He also worked for the City of Chicago in the Building and Land Use Litigation Department.